When you enter Thailand, please show Immigration officer that you have an ED visa and you will be given an Immigration stamp; it allows you to stay for 90 days. Every student needs to extend visa and also have to notify your address when you stay in Thailand longer than 90 days at the immigration office. We must submit your passport and document to the MOE for request the acceptance letter (2nd letter) which the student have to use for visa extension at the immigration. Note: Please bring your passport and departure card to the school within 1 week after your arrival Thailand. 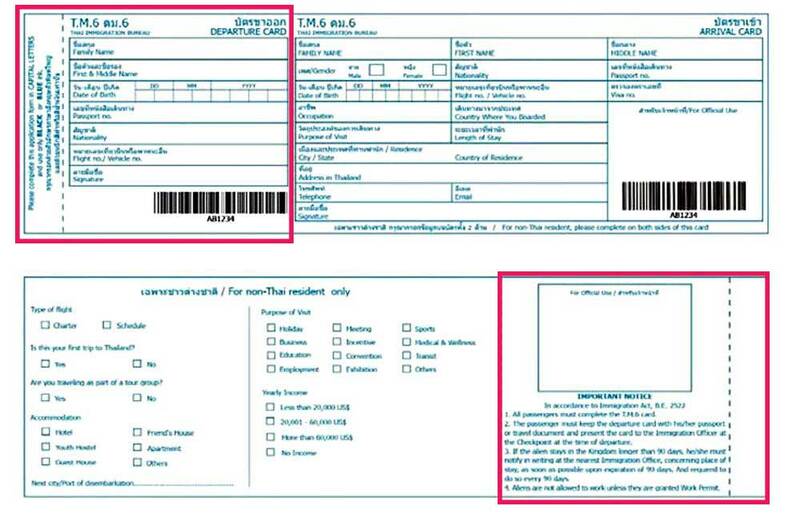 You can collect the extension document before your visa expires 1-7 days in advance. You have to apply for visa extension at Immigration office at Changwattana Road. Note: The fee is 1,900 Baht each time at the immigration. All foreigners who stay in Thailand longer than 90 days, they need to notify of staying, and also to report to the immigration to register their residences in Thailand every 90 days. Front page showing name/passport No. - The notification of staying in the Kingdom over 90 days is in no way equivalent to a visa extension. - If a foreigner staying in the kingdom over 90 days without notifying or notifying later than the set period, a fine of 2,000.- Baht will be collected. If a foreigner who did not make the notification of staying over 90 days is arrested, he will be fined 4,000.- Baht. - If a foreigner leaves the country and re-enters, the day count starts at 1 in every case. During your ED visa period, when you want to travel abroad, you have to make a re-entry permit before leaving Thailand at the immigration office or Immigration check point. Note: Please inform the school every time when you want to leave and come back to Thailand.